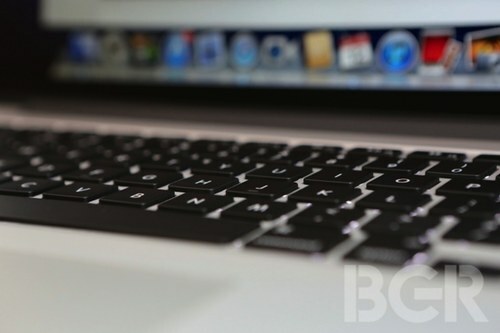 Pretty much everyone agrees that Apple will eventually equip its entire Mac product line with Retina displays. The timing, however, is a matter of debate. That said, earlier this week, a fairly unimpeachable source indicated that a 13-inch Retina MacBook Pro (rMBP) has been vicariously spotted in the wild. Primate Labs announced that Geekbench benchmark results for a 13-inch rMBP have been spotted in a user-submitted Mac performance database. In the past, an appearance in the Geekbench database has accurately presaged new models. Further, sources in Apple’s Asian supply chain are saying (anonymously) that Apple’s plan to ramp 13-inch rMBP component production in the third quarter is still a go with October being the likely timeframe for it to hit the market. “Rumors are that several notebook brand vendors have delayed or decreased their shipments with Apple also being named as having postponed mass shipments of a planned 13-inch MacBook Pro with Retina display; however, sources from upstream suppliers of Apple have refuted the rumors saying their supply status is stable,” writes DigiTimes. For whatever reason, some sources were lumping Apple in with HP, Acer, Lenovo and Dell, all of which are believed to have cut their shipment forecasts and, thereby, orders to Asian suppliers.